Another race joined the Ironman calendar over the weekend with the first running of Ironman Fortaleza in Brazil. The new event carried a healthy 50 Kona slots for the relatively small field of 1,000 who started at the inaugural race. 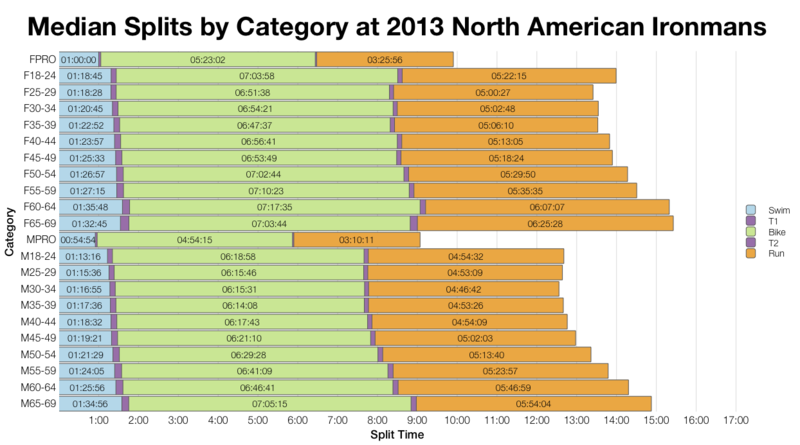 With no race history to examine, I’ll compare this year’s results against the typical patterns from North American races. 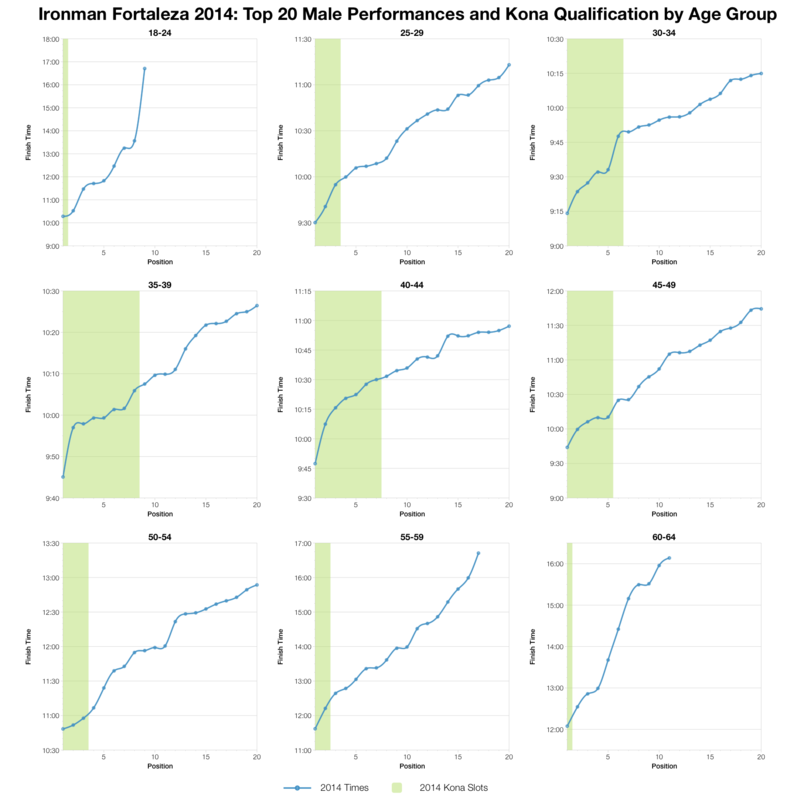 After a slower swim in Fortaleza things picked up with median bike and run splits mostly trending faster than the North American races. 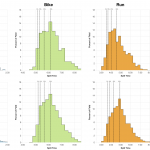 The major differences are seen on the bike with times in the region of 15 minutes faster in Brazil. 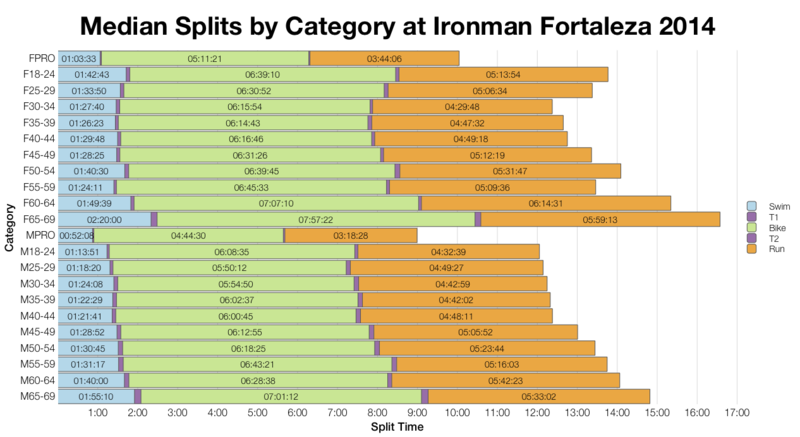 Comparing the distribution of splits confirms these differences – Fortaleza is much faster on the bike. The swim is slightly slower at the front of the field, but more significantly slower by the median point. On the run, the opposite is true, run times are similar at the front of the race, but much faster in Fortaleza by the median point. In fact the distributions from Fortaleza are more skewed than the US distributions, possibly a result of a smaller field slightly weighted towards faster athletes. My estimates for Kona slots are in the table above – numbers here are based off the numbers in the swim, the final allocation may vary. 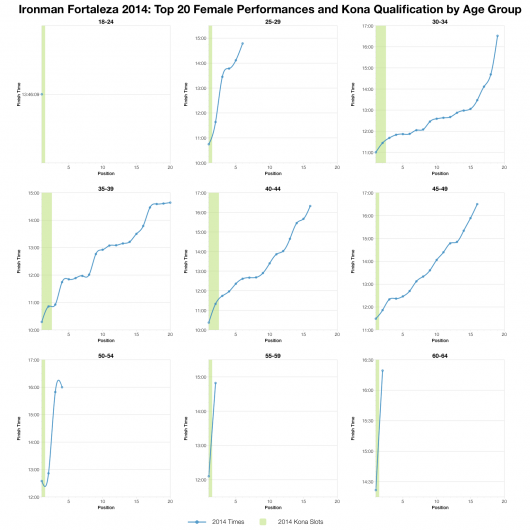 The winning times in Fortaleza are not particularly noteworthy, not dissimilar to many US Ironman races. However, there is quite a swift fall off from first through to twentieth place, potentially a reflection of the smaller field size in Brazil. With only one year of results to judge by it’s hard to draw any conclusion, but in its current form, with 50 slots, Fortaleza could be a good choice for qualification. 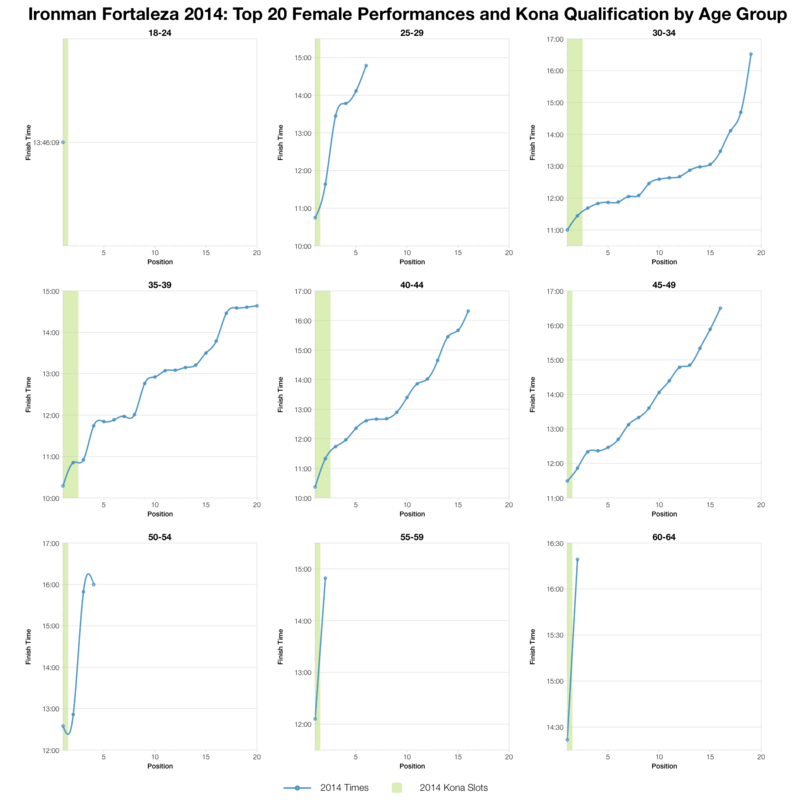 A spreadsheet of the full results and splits from Ironman Fortaleza 2014 is available on my Google Drive.